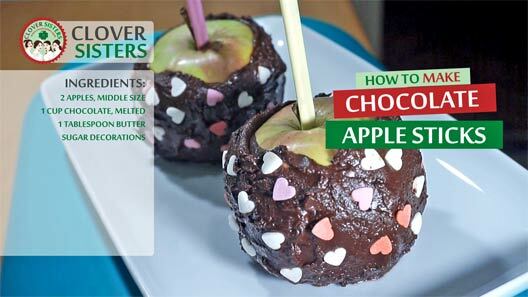 Place an apples firmly on a sticks and dip into melted chocolate until it’s nicely covered. 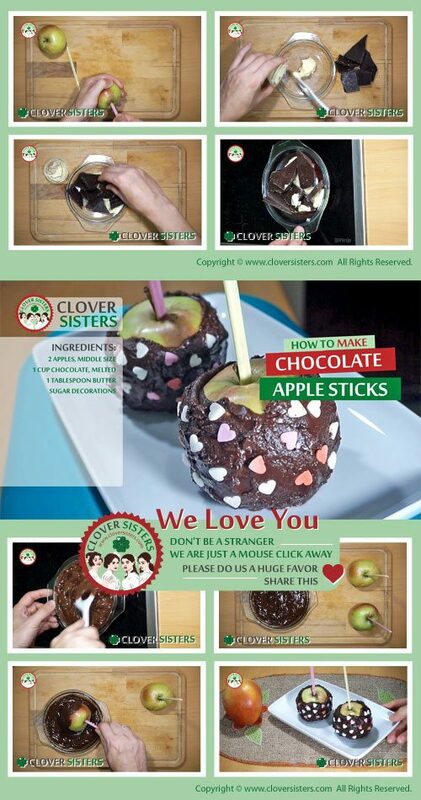 Place them on a tray and let cool down. Add some decorations optionally.